To learn more about our Programs and Classes, please email classregistration@elliot-hs.org or call 603-663-4567. We will be happy to assist you with dates, times, class availability and register you for classes. Classes in general health education, childbirth and parenting, mind/body medicine, health and wellness screenings, and support groups are offered on a regular basis. Find the class that interests you, and enroll today! To register, email classregistration@elliot-hs.org or call 603-663-4567. Gift certificates are available to give the gift of health. Come join us for a tour welcoming you to the Maternity Center of the Elliot Hospital. These tours are guided by Registered Nurses that work in in the Maternity Center and teach the childbirth education classes. Bring your questions! Through this tour you will become familiar with the rooms and people that you will see when you come to have your baby. We love showing parents-to-be why our Maternity Center has been repeatedly honored as the best place to have a baby in the State of New Hampshire. Start with us! It’s free!! We really want you to come and see where you will be having your baby. You will feel more at ease when you have seen us! A tour can last 45 minutes to 2 hours. This depends upon the size of the group and how many questions you have! Who should come with me? Yes, older brother(s) and sister(s) are welcome. Keep in mind the length of the tour and time – it may be best for them to attend our more fun Big Brother-Big Sister class that is designed just for them! Do I need to schedule a tour if I am taking the Learn to Labor class? We welcome you to attend an informational session providing education and support for you and your baby. These sessions are led by registered nurses who will review what to expect upon you arrival at the hospital through discharge for both you and your newborn. Learn about special circumstances and considerations during labor and delivery as well as the post-partum period. A review of signs and symptoms of Neonatal Abstinence Syndrome (NAS) and treatment options will be explored. Eat Sleep and Console (E.S.C.) 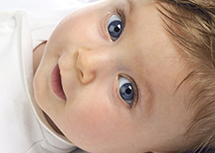 has proven to reduce the need for medication and prolonged hospital stays for your baby. 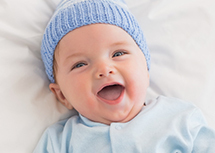 Our goal is to educate and assist you in treatment and caring for your newborn during this period of transition. Bring your questions and concerns. This is a free class and we encourage you to bring a support person. Connect with other mothers-to-be through a class specifically designed for the journey of pregnancy. Linking yoga postures with breathing you will bring awareness to the mind, body and spirit, and also the spirit of your baby. This program is conducted in a calm, peaceful environment and will help strengthen the uterus and pelvic muscles, improve circulation, aid in digestion, exercise the spine and increase overall comfort. Yoga can also alleviate many of the discomforts of pregnancy such as nausea, constipation, varicose veins, swelling, back pain and sciatica.This class can be started at any time in the pregnancy with provider’s permission. Instructor: Abby, cost is $80. This class helps you get ready to care for your new baby! It will increase your confidence as a new Mom or Dad and put your mind at ease. Topics include your baby’s behaviors, how to keep your baby safe, to feed and clothe your baby, and how you and your baby can get the rest you both need. Instructors will talk about the basics and benefits of breastfeeding, and how to get off to a great start. You will receive “tips” and “pearls of wisdom.” Our instructors are experts, Registered Nurses and Board Certified Lactation Consultants (IBCLCs) who work in the Maternity Center at Elliot Hospital. This class is taught by a Registered Nurse very knowledgeable and experienced in newborn care. Preparing for Birth: Getting Ready for the Big Birthday! Labor is a natural body process. We are here to help you prepare! This class is taught by Registered Nurses of the Eliot Hospital Maternity Center. They are certified in Childbirth Education, and you may well see them during your stay with us. The topics they will cover include preparing for labor, the labor process, coping with labor, comfort and medication options and birthing your baby. For your support person, we will teach how best they can support you! Our goal is to empower and educate you. You will leave the class saying, “We’ve got this!” This class also includes a tour of the Maternity Center. Because most people learn best in short blocks of time, we are starting this new class format!! Join us for two 4-hour classes! We will be giving a door prize at the end of the second class! Labor is a natural body process. We are here to help you prepare! This class is taught by Registered Nurse of the Elliot Hospital Maternity Center. They are certified in Childbirth Education and you may well see then during your stay with us. The topics they will cover include preparing for labor, the labor process, coping with labor, comfort and medication options and birthing your baby. For your support person, we will teach how best they can support you! You will have time in between the sessions to practice what you have learned and come to the second session with your questions! Our goal is to empower and educate you. You will leave the class saying, “We’ve got this!” This class also includes a tour of the Maternity Center. Should I do the 1-day or 2-day class? If your schedule permits, we encourage you to participate in the 2-day class. Having 2 classes allows more time for the given information to sink in, time for you to practice, and time for you to think of more questions you have for us! Who should come to class with me? We encourage you to bring your spouse and/or your labor support person with you to class. We’d encourage you to take our labor class during your second trimester so that you have adequate time to practice the skills that are taught. However, we welcome you at any time during your pregnancy! Your baby’s safety is so important! In this class you will be taught about infant safe sleep, infant and child CPR techniques and other content to help keep your baby safe and secure. This will include information important for you and also important for grandparents and other family members who may be helping you, so that they, too have the latest information for your baby’s safety. Cost: $30.00 per person or $50 per couple. This lively class prepares children (2 ½ -9 YRS) to become a big brother or sister! Through child-centered activities, they will learn about the baby and their new role in the family. A fun, child-oriented 20-minute tour of the Maternity Center is included. Please have your “soon-to-be” big brother/sister bring their favorite doll or stuffed animal to class! Class for 5-9 year olds. Class for 2 ½ - 4 year olds. Any class taken with the Learn to Labor Class receives 10% off the additional class. Remember to call or register early because classes fill quickly! To register: Please call (603) 663-4567 or email classregistration@elliot-hs.org. All classes require registration prior to the first day of class. Payment is due when you register for a class; your spot on the roster is not confirmed until payment is received. *Class times/dates are subject to change. The Welliot at River’s Edge Fitness Center consists of the latest and greatest cardiovascular equipment, Nautilus strength training machines, and several group exercise classes for all ages and levels. Our experienced team of friendly fitness professionals will design an exercise program specific to your current level and goals. If you are looking for a safe, non-competitive, supportive environment to help you reach your fitness goals, this is the facility for you. Seniors and first time exercisers encouraged. Open Monday through Friday 6:30AM to 4PM. Call The Welliot at River’s Edge at (603) 663-4200 to get started. Physician’s clearance form required before starting exercise program. Designed especially for those with the experience of cancer. It will empower you to: relieve tension and anxiety, rebuild strength and restore range of motion, witness emotion with compassion, and manage the side effects of treatment and medications naturally. This includes lymphedema, hot flashes, neuropathy, pain, depression and insomnia. Please contact YogaCaps at (603) 674-3770 or info@yogacaps.org to register. Connect with other mothers-to-be through a class specifically designed for the journey of pregnancy. Linking yoga postures with breathing you will bring awareness to the mind, body and spirit, and also the spirit of your baby. This program is conducted in a calm, peaceful environment and will help strengthen the uterus and pelvic muscles, improve circulation, aid in digestion, exercise the spine and increase overall comfort. Yoga can also alleviate many of the discomforts of pregnancy such as nausea, constipation, varicose veins, swelling, back pain and sciatica. This class can be started at any time in the pregnancy with provider’s permission. Instructor: Abby R.
Designed to promote total health and well-being through stretching, strengthening, and balance using traditional Yoga poses. This class uses breath and movement to feel the release of physical and mental tension and to increase body/mind awareness. Suitable for students who have basic Yoga knowledge who would like to focus on more standing poses with flow. Instructor: Abby G.
To register: Please call (603) 663-7016. All classes require registration prior to the first day of class. Payment is due when you register for a class; your spot on the roster is not confirmed until payment is received. The Elliot Senior Fitness Center is designed for those age 50 and older. The fitness center consists of a variety of easily accessible cardiovascular equipment and strength training machines. Our friendly team of fitness specialists are here to help guide you as you integrate physical activity safely into your life. We offer equipment orientations with an individual exercise program designed to meet your needs and goals. Open Monday through Friday, 6:30AM to 4PM. Physician’s clearance form required before starting exercise program. Call The Elliot Senior Fitness Center at (603) 663-7016 to get started. To register: Please call (603) 663-4567 or email classregistration@elliot-hs.org. All classes require registration prior to the first day of class. Payment is due when you register for a class; your spot on the roster is not confirmed until payment is received. Massage therapy is manipulation of the soft tissues of the body, including muscles, connective tissue and tendons. It can help to alleviate the soft tissue discomfort associated with everyday home and occupational stresses, muscular overuse as well as many chronic conditions. You can have the wellness you deserve. Massage benefits include: enhancing sleep, releasing chronic muscular tension/pain/joint stiffness, reducing stress and mental/physical fatigue, increasing energy levels, strengthening the immune system, help relieve anxiety. Melissa Lower, LMT Licensed Massage Therapist and Nationally certified in therapeutic massage and body work. Call (603) 663-5730 to schedule an appointment. Heartsaver First Aid - Heartsaver® First Aid is a video-based, instructor-led course that teaches students critical skills to respond to and manage an emergency in the first few minutes until emergency medical services arrives. Students learn duties and responsibilities of first aid rescuers; first aid actions for medical emergencies, including severe choking, heart attack, and stroke; and skills for handling injury and environmental emergencies, including external bleeding, broken bones and sprains, and bites and stings. Certification and AHA Textbook received. Reading material is sent to you prior to the class once payment is received. Call 663-4567 to register. Cost: $50.00. *Onsite Courses* – Is your school, company or practice looking to hold a CPR or First Aid course? We offer onsite courses that provide a 2-year certification for Heartsaver® CPR AED, Heartsaver® First Aid and Basic Life Support for Healthcare Professionals. Please contact FitnessServices@Elliot-HS.org or call 663-4200 to learn more. The NEONATAL RESUSCITATION PROGRAM TM (NRP) is a course designed to teach an evidenced–based approach to resuscitation of the newborn so that health professionals may develop optimal knowledge and skill in resuscitation. The NRP exam and skills evaluation are based on information obtained from the Neonatal Resuscitation Textbook 7th Edition. Prior to the NRP Instructor-Led Event, it is the student's responsibility to read the NRP 7th edition textbook and complete and successfully pass the 7th Edition on line provider curriculum (Part 1) on HealthStream. You can complete the NRP 7th edition on-line provider curriculum as earlier as 90 days prior to your NRP Instructor-Led Event. However, in order to attend the NRP Instructor-Led Event, you must bring written documentation that you have completed and successfully passed (Part 1) of the NRP 7th Edition on-line provider curriculum. Elliot employees will be assigned the NRP 7th edition on-line provider curriculum in HealthStream once they have registered for a class through the Elliot Hospital Class Registration line (603-663-4567) or email (classregistration@Elliot-HS.org). 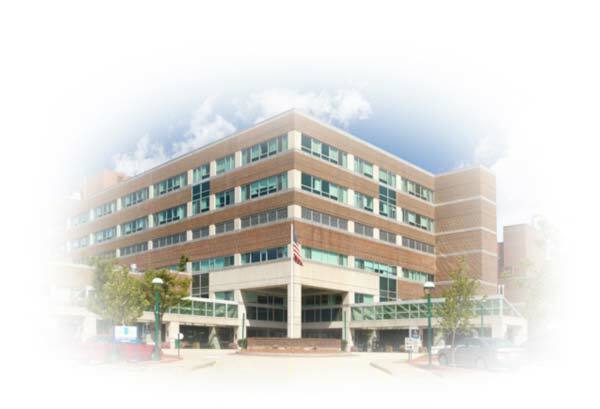 For Non-Elliot Hospital employees, there is a $100 non-refundable registration fee to attend the NRP Instructor-Led Event once they have registered for a class through the Elliot Hospital Class Registration Line. Information on purchasing the NRP 7th edition textbook and the NRP 7th edition provider curriculum can be obtained from the American Academy of Pediatrics Website. In order to take the NRP 7th edition online provider curriculum, you will need to create a password under the HealthStream Learning Management System (LMS) on the AAP Website. Following your successful completion of the NRP 7th edition provider curriculum (Part 1), you will then be ready for the Instructor-Led Event. During the Instructor-Led Event, you will be expected to demonstrate a mastery of resuscitation skills in the Integrated Skills Station and participate in simulated resuscitation scenarios followed by a debriefing session. If you are an Elliot employee, the NRP 7th edition textbook can be signed out on loan from the Neonatology Department and should be returned to the NRP instructor at the end of the course. Please contact Diane Sanchioni at 663-2692 if you have any questions. Her office is located in the NICU on the 5th Floor of the Elliot Hospital. Non-Elliot employees will need to purchase their own textbook from the American Academy of Pediatrics. To register, please call Elliot Class Registration at 603-663-4567 or email to classregistration@Elliot-HS.org.